Please note: this functionality is currently available to Premium users only. If you use TweetDeck to post to Twitter, Facebook or Myspace, you'll know that it can automatically shorten URLs for you. 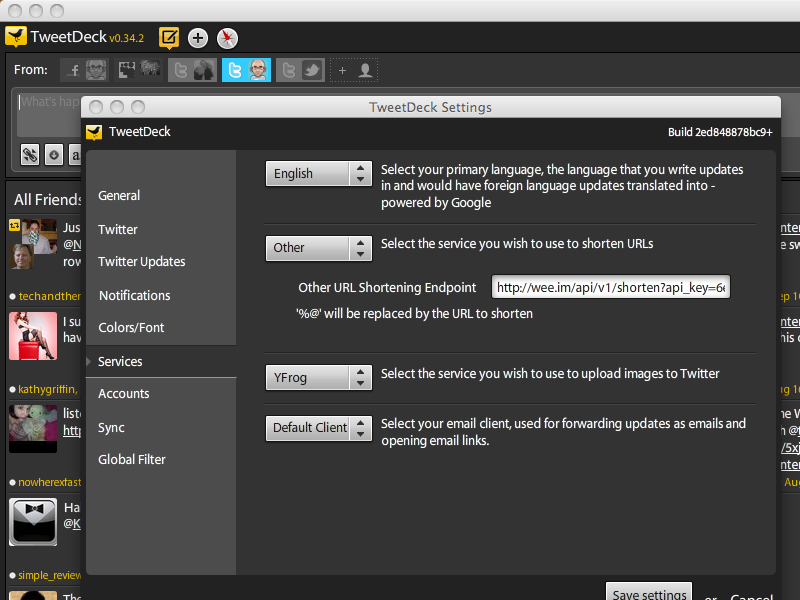 What you may not know is that TweetDeck allows you to choose your URL shortening service. You may choose from a list of pre-defined providers and you may also specify your own, custom URL shortener. The instructions are laid out for you nicely on the TweetDeck Support site. That's it! Just enter that URL, which already has your API credentials embedded into it and paste it into your TweetDeck preferences. 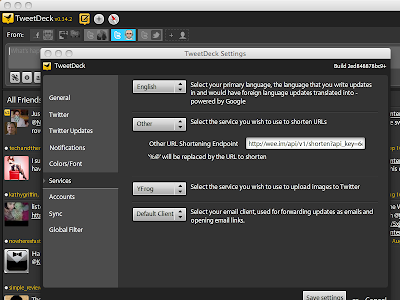 You'll be able to auto-shorten and auto-track any URLs which you post via TweetDeck. Let me know if you have any questions/comments about this new functionality. I cannot find the code on the page to copy and paste into the required field on Tweetdeck! @andrew Log in to your account, and choose "API" from the "Options" menu. After you agree to the terms it will be on your main API page, just under your API key.